As the GIS industry continues to evolve and advance, Esri is maintaining its commitment to bringing diverse, cutting-edge software, apps, and services to its users. 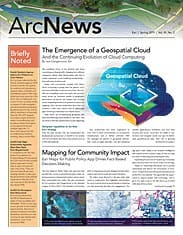 The latest release of ArcGIS is big. Take a look at what you’ll find. ArcGIS Pro 2.3 is the most significant release of ArcGIS Pro to date, with more new and updated features than any previous release. It includes enhancements that improve workflows for mapping, analysis, and data management. The redesigned and improved startup experience, which lets users launch ArcGIS Pro without first creating a project, means you can get going faster than ever before. 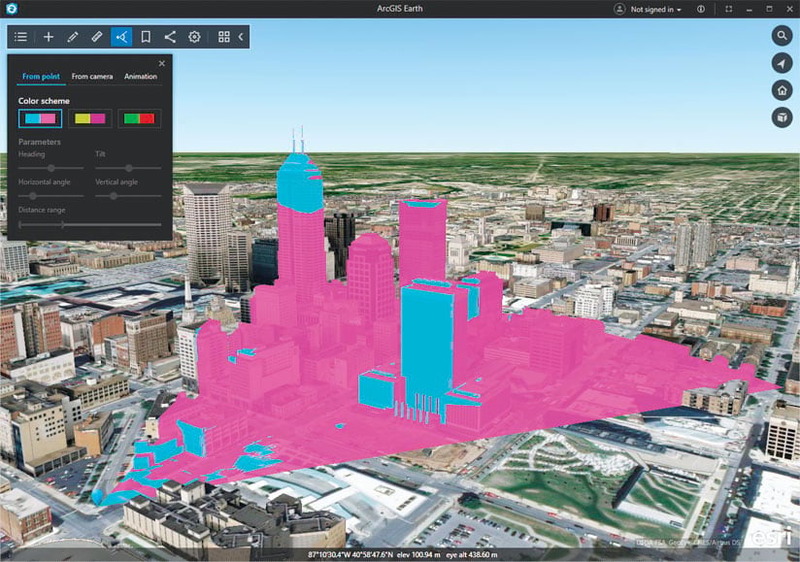 ArcGIS Pro 2.3 includes color ramps for polygon outlines, reports, a new Deep Learning toolset, and new tools for measuring and interpolating 3D data. The in-scene measurement tool for 3D scenes has improved visual feedback. The orange and white dashed line, for example, indicates the direct distance between vertices, and horizontal laser lines show comparative heights. The ArcGIS Image Analyst extension has been augmented with several advanced capabilities and features. In addition to gaining the Deep Learning toolset and Motion Imagery, which is the evolution of the Full Motion Video add-in for ArcMap, Esri placed a strong focus on making quality improvements to and fixing bugs in the extension’s stereo and image space capabilities. ArcGIS Data Reviewer has new capabilities for automating quality control workflows. Many of the automated validation checks in Data Reviewer can now be configured as Attribute Rules, which enforce data integrity during the data creation and editing process. Additionally, the Delete Reviewer Session is a new custom step available for use with the ArcGIS Workflow Manager extension. When used in conjunction with the Create Reviewer Session step, it enables the automatic deletion of error results associated with a job. The Esri Defense Mapping and Esri Production Mapping extensions have a slew of new toolsets, including ones for automating production workflows; refining cartographic data; generalizing data for different geometry types; identifying narrow and wide portions of a polygon; and turning polygons into centerlines, which is useful for hydrography. Users can also now add a Slope Guide to their maps, which dynamically shows the percentage of slope on a map based on its scale and contour intervals. 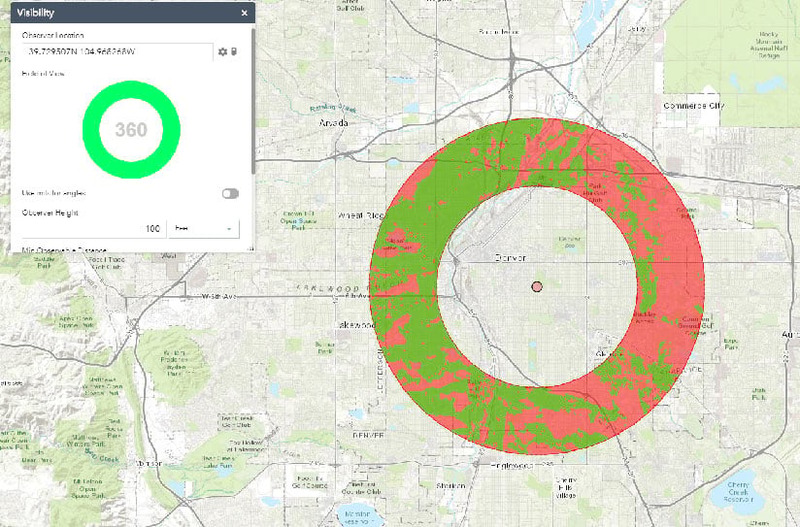 The release of ArcGIS Pro 2.3 adds new functionality to ArcGIS for Aviation: Airports. A new parameter was added to all the tools in the Obstruction Identification Surfaces toolset that allows users to customize obstruction identification surfaces. Import FAA 18B Shapefiles and Export FAA 18B Shapefiles in the Data Exchange toolset enable users to switch data out of the data model and into the Federal Aviation Administration’s (FAA) specified format and vice versa. Analyze LAS Runway Obstacles, in the Analysis toolset, determines if lidar points are penetrating obstruction surfaces. To make it easier to analyze and display polygon, polyline, and multipatch obstacles, Esri has updated some of the capabilities in the Generate OIS Obstacle Data tool and the Terrain and Obstacles Profile element. In the latest release of ArcGIS Pipeline Referencing, Esri updated service-based network editing, service-based support for geoprocessing tools, and conflict prevention for multiuser editing. New tools have also been added to the Location Referencing toolbox, including Generate Calibration Points and Remove Overlapping Centerlines. ArcGIS Enterprise 10.7 makes advances in data, publishing services, distributed collaboration, web mapping, administration, and more. In data, coded value domains are now available for hosted feature layers. Offline map areas can be created from web maps. Shared instances reduce the memory footprint of services and make it possible to support many more services than in the past. Enhanced distributed collaboration features means users can share items from Insights for ArcGIS and copy hosted feature layer views. New relationship style symbology helps show the relationship between attributes on a map. Webhooks allow users to get notifications when something specific happens in the ArcGIS Enterprise portal, such as an item being added to a public group. ArcGIS Enterprise 10.7 also features User Type licensing for ArcGIS Enterprise portal members to better match users’ GIS capabilities with organizational workflows. Several key areas of ArcGIS GeoEvent Server have been enhanced. Users can boost real-time analysis on their streaming data with six new processors: Add XYZ Values, Bearing Calculator, Event Joiner, Event Volume Controller, Feature to Point, and Range Fan Calculator. Data sources in the spatiotemporal big data store now support z-values, and users can export delimited text from the spatiotemporal big data store to an Azure or Amazon cloud store right in GeoEvent Manager. Published feature services from GeoEvent Manager now support hosted views, allowing users to apply different editor settings, styles, or filters. To better manage system resources, it is possible to set user-defined refresh intervals on the Monitor page of GeoEvent Manager. Users can also access documentation quickly for all the available connectors and processors directly in GeoEvent Manager with the new embedded help. ArcGIS GeoAnalytics Server has new big data tools to fuel users’ data management and analysis workflows. Clip Layer, Dissolve Boundaries, and Merge Layers make it easier to manipulate data. In data analysis, new statistics tools such as Forest-Based Classification and Regression and Generalized Linear Regression improve users’ ability to find relationships and make predictions. Users can now keep their data in one place by writing their analysis results back to the data sources instead of writing results back as a web layer in ArcGIS Enterprise. With 10.7 also comes a best practices documentation topic on planning for and scaling a GeoAnalytics Server site. ArcGIS GeoAnalytics Server has new big data tools, including the Build Multi-Variable Grid tool. It can show, for example, the areas in New York City that are most removed from the parks system, with parks in red and these areas in blue. ArcGIS Excalibur 1.0—a cloud-based image exploitation app that allows users to easily search, discover, and work with imagery in fully integrated workflows—is available for use in ArcGIS Enterprise 10.7. It offers a new way for analysts, imagery specialists, and managers to collaborate and deliver timely geospatial intelligence to decision-makers. Imagery projects in Excalibur allow users to access all their resources in one location, including geospatial reference layers that provide context to imagery tasks and tools that streamline image-based workflows. Users can also employ imagery projects to share and manage their imagery exploitation tasks. The launch of ArcGIS Notebook Server puts a built-in Python-scripting environment in ArcGIS Enterprise 10.7. Users can jump-start scripting with ready-to-use samples and boost workflow automation and spatial data science work—right in their Web GIS setups. Python libraries include ArcGIS API for Python, ArcPy, and open-source statistical and machine learning libraries. The latest release of ArcGIS Monitor, a tool uniquely tailored to monitor the health of ArcGIS implementations, includes several improvements. A new Status page lets users get a quick view of the status of their enterprise GIS infrastructure, databases, and more; Root Cause Analysis capabilities swiftly identify the sources of alerts and their downstream impacts; and there are now targeted usage reports for ArcGIS Server and Portal for ArcGIS. ArcGIS Monitor now has log counters and a new API as well. The newest update of ArcGIS for INSPIRE—Esri’s Web GIS solution to ensure compliance with the European Union’s spatial data sharing requirements—supports three additional data themes: Agricultural and Aquaculture Facilities, Production and Industrial Facilities, and Energy Resources. This release includes enhancements to existing geodatabase templates; Atom feed validation for INSPIRE Predefined Dataset Download services; and other improvements to INSPIRE Feature Download services. The product also addresses many validation issues and is more compliant with INSPIRE specifications. Tracker for ArcGIS is now available for use in ArcGIS Enterprise and will be supported by ArcGIS Online with the June release. Location tracking, a new capability within ArcGIS, allows organizations to keep a record of where users are and where they’ve been, so their location tracks can be monitored and analyzed using the ArcGIS platform. Tracker for ArcGIS includes a Track Viewer app that an organization’s ArcGIS administrator can use to create track views, which control who can see and use an individual’s location tracks. The Track Viewer web app enables supervisors to explore, visualize, and interrogate tracks. The Tracker mobile app is a lightweight, native mobile app for iOS and Android devices that is optimized for tracking user locations in the background with minimal impact on the device’s battery. When using the mobile app, users are in full control of when they are tracked. 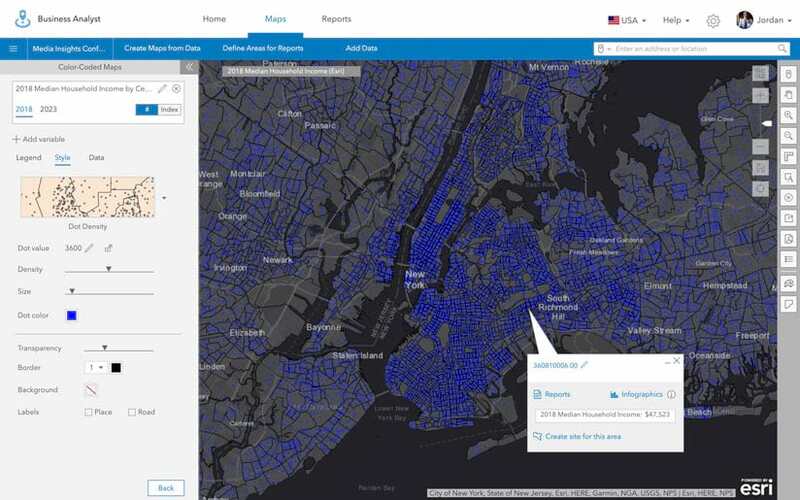 The latest release of ArcGIS for Insights introduces the Insights Analyst User Type, available in ArcGIS Enterprise and ArcGIS Online. This new User Type gives non-GIS analysts access to Insights without the extra capabilities of a Creator or GIS Professional User Type. So analysts outside the GIS department get only what they need while still being able to scrutinize every aspect of data—temporal, qualitative, quantitative, and spatial. Additionally, new capabilities in Insights include a new home screen for managing data and projects, Python and R integration, and support for distributed collaboration and PostgreSQL data. 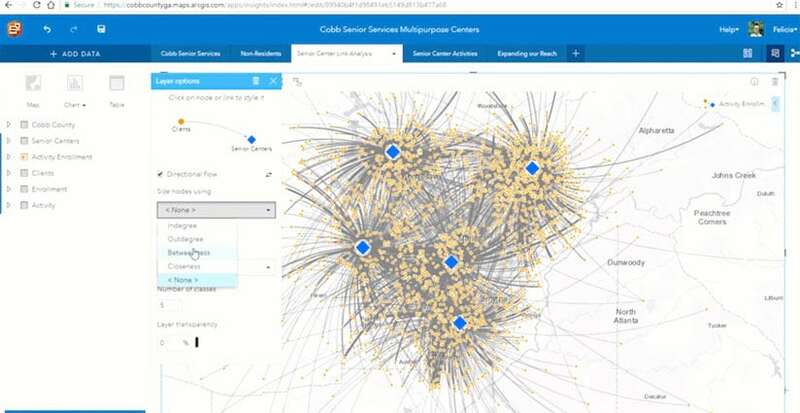 Cobb County, Georgia, uses link analysis in Insights for ArcGIS to examine the relationships between its senior center facilities and their clients. 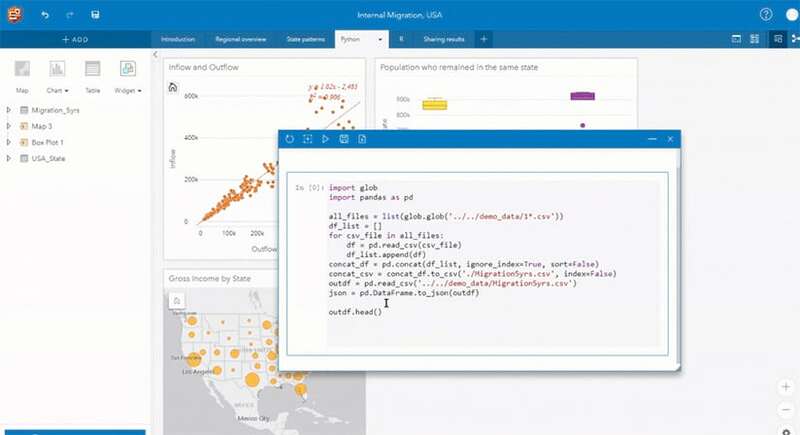 With the updated version of ArcGIS Maps for Power BI, users get enhanced mapping and analysis capabilities, demographic data, and compelling visualizations. There is an improved user interface, boundary data for more than 130 countries, and the new Find Similar tool that helps users find locations with similar attributes. Plus, users can access even more infographic data and easily pin maps with as many as 5,000 addresses on dashboards. The latest update to Operations Dashboard for ArcGIS provides more flexibility for configuring dashboards with the introduction of new configuration options through URL parameters. Designed to trigger specific actions at run time—such as loading the dashboard based on a certain spatial extent or with a particular filter applied—there are several parameter types available, including category, numeric, date, feature, and geometry. The newest update of ArcGIS Business Analyst allows users to create dot density maps that represent data variable value in a specific area. It also makes it possible to download infographic templates from one organization and import them into another. Additionally, there is a new way for users to control how they share all-in-one PDF reports: when adding an email address to courtesy copy, they can now make PDFs private or public or share them with their organization’s members. The newest update of ArcGIS Business Analyst allows users to create dot density maps that represent data variable value in a specific area. 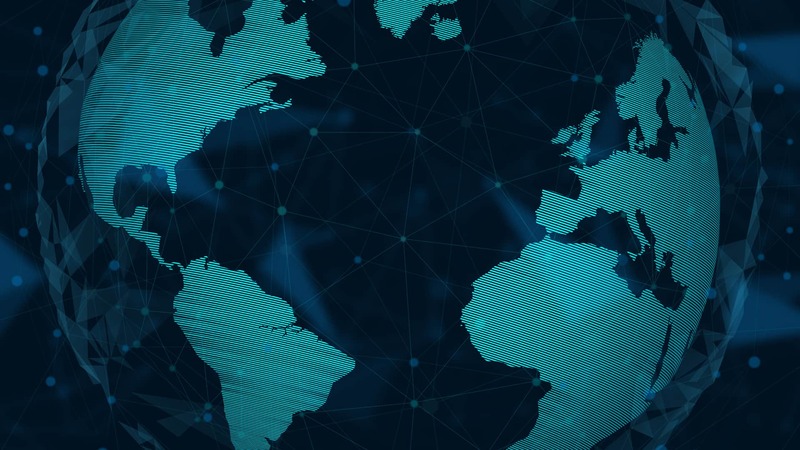 The latest version of ArcGIS Maps for Adobe Creative Cloud gives users more creative freedom to design with data-driven maps inside Adobe Illustrator and Photoshop. The Mapboard now lets users define an extent from a data layer, map, or file saved on their computers. And the new Favorites button allows users to indicate which layers or web maps they prefer, as well as better organize frequently used content. For those times when creative decisions take a turn, there are new redo/undo actions within the Compilation window as well. AppStudio for ArcGIS 3.2 includes updated dependencies: ArcGIS Runtime 100.4 and Qt 5.11.2. A number of improvements were made to Email Composer in AppStudio Desktop Edition, and there is now notification and vibration support for Universal Windows Platform (UWP) apps. AppStudio Player now supports downloading and viewing public apps without signing in. It also has a new onboarding page and a dark theme. Several AppStudio templates, such as Map Tour and Quick Report, have new features and fixes as well. AppStudio Player has a new onboarding page and a dark theme. It also now lets users download and view public apps without signing in. In Survey123 for ArcGIS, Esri added direct support for external Global Navigation Satellite System (GNSS) receivers, enabling users to collect highly accurate location data through smart forms. The Survey123 field app can connect to a receiver via Bluetooth, serial, or a USB port. GNSS metadata from the receiver can be used to provide user warnings and even enforce data validation rules at the time field data is collected. For example, a survey can be configured to warn users if the location provided by the GNSS receiver is not using a differential GPS fix type or is not meeting a particular horizontal accuracy threshold. All GNSS metadata can be stored as GIS attributes to support quality assurance and postprocessing office workflows. Find out more about compatible receivers. Web AppBuilder for ArcGIS has two new widgets: the Threat Analysis widget, which helps public safety personnel and first responders identify safe distances and zones for planning events, and the Visibility widget, which determines what’s visible based on distance, the observer’s height, and a field of view. Existing widgets have been improved as well. The Directions widget now allows users to configure barriers from their map layers. The Analysis widget adds three new tools: Find Centroids, Find Point Clusters, and Summarize Center and Dispersion. And the 3D Search widget enables users to search feature layers. The new Visibility widget in Web AppBuilder for ArcGIS determines what’s visible based on distance, the observer’s height, and a field of view. The 18.1.0 release of Collector for ArcGIS is a significant one for the iOS platform. Esri’s beta community of more than 2,000 users recommended enhancements and features that make this app highly productive. Its engine supports vector tiles, labeling, and advanced symbology. The update also includes simplified ways to complete common, repetitive workflows. 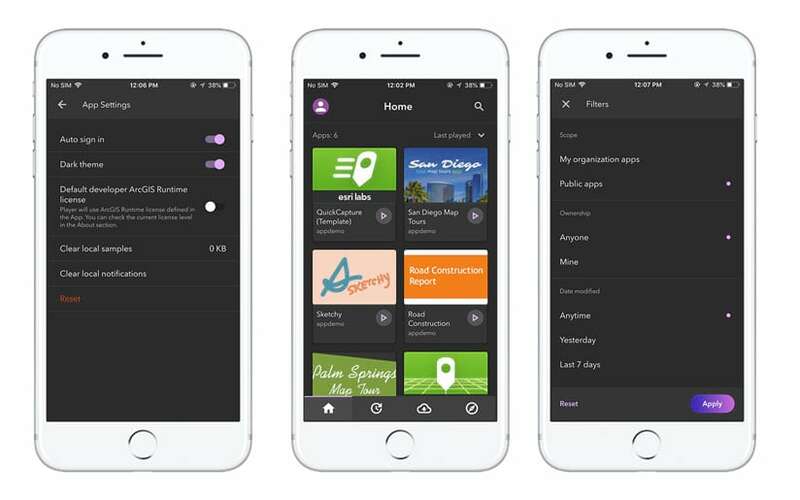 When gathering data in areas without connectivity, users can now create offline maps in the office to download to their devices and autosync edits from within the map. Additionally, this new Collector can run side by side with the former version of Collector for ArcGIS (iOS), which is now known as Collector Classic. ArcGIS Earth is now available on Android devices and Windows desktop. The app has been optimized for quick browsing of 2D and 3D content in both offline and online modes. 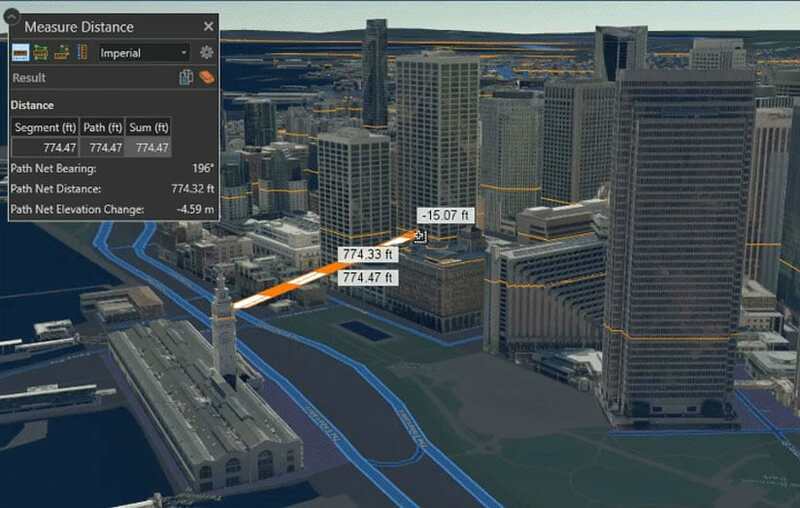 With interactive analysis tools—such as Elevation Profile, Line of Sight, Viewshed, and 3D Measure—users can now complete an array of projects and analysis work quickly and efficiently. Interactive analysis tools in ArcGIS Earth allow users to complete projects and analysis work more quickly and efficiently. Recent enhancements to ArcGIS Hub, which assembles teams of collaborators around initiatives, make it easier for organizations and their communities to put together plans, organize activities, accomplish projects, and achieve goals. 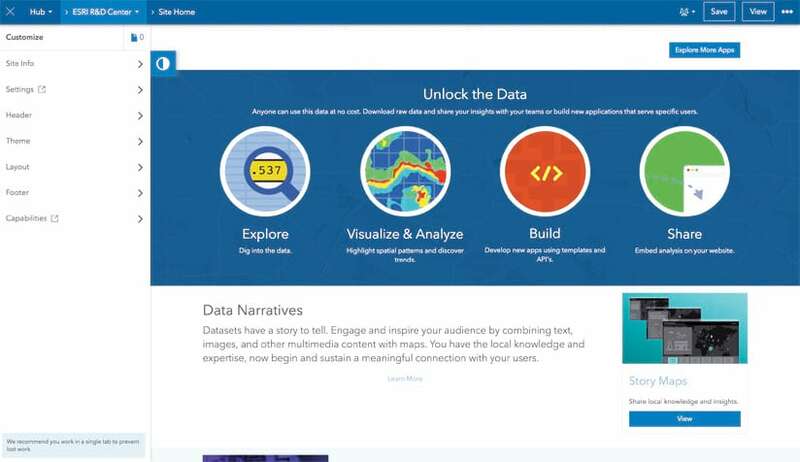 With new search capabilities and support for file geodatabase downloads, ArcGIS Hub makes it simpler to find and share data. Updates to the gallery card, plus a new media card, make it quicker to add content to hub sites. And a new site dashboard allows users to see how many views their hub sites get over time. User profiles and notifications have been updated as well. And key workflows for how teams build sites, manage content, and share information have been streamlined thanks to redesigned navigation and Site Editor enhancements. ArcGIS Hub has more streamlined workflows that make it easier for teams to build sites, manage content, and share information. ArcGIS API for Python versions 1.5.1 and 1.5.2 include new functionality and some bug fixes to further enhance the user experience. Users can now add a map legend and use comma-separated strings to return a query as a DataFrame. Esri also introduced a new Survey123 module in the Python API to bring the power of automation and insight to Survey123 data. Leverage the power of Python and R directly with the Insights for ArcGIS interface. Convert a pandas DataFrame to a dataset, and with a simple string of code, bring it into Insights for analysis.